Home to some of the Highlands' most iconic spots, Inverness-shire is the largest county in Scotland. From the romance of Loch Ness to the wild beauty of Uist and Harris, Inverness-shire is full of amazing places to explore. Made for a road trip, the county encompasses so much of what makes the Scottish Highlands such a magical place to visit: glorious landscapes, picturesque castles and charming hospitality. Our selection of the best places to stay in Inverness-shire are as varied as the county, ranging from heritage houses to delightful B&Bs. Drive along the stunning North Coast 500 route and take in the magnificent natural scenery all around. Truly breathtaking! If you're interested in military history then be sure to pass by Fort George's Highlanders' Museum, Scotland's biggest regimental museum outside Edinburgh and home to over 20,000 artefacts. Visit the Scottish Kiltmaker Visitor Centre and learn all about the skilled process involved in making Scotland's national dress. Take a tour of the Tomatin Distillery Visitor Centre and enjoy a dram or two afterwards! It would be foolish to visit the region without taking in arguably its most famous feature: Loch Ness. If you have the time, try to get out to the Hebridean islands of Harris, North Uist and South Uist. They're home to mesmerising landscapes and fascinating archeaological sites. Given that it's one of the biggest counties in the UK, our selection of the best places to stay in Inverness-shire are very well spread out. Therefore it's possible to plan your trip to stay in a couple of them across the region. Set in a smart townhouse, Rocpool Reserve provides chic contemporary accommodation overlooking the river. You'll love meals served up at their award-winning restaurant! 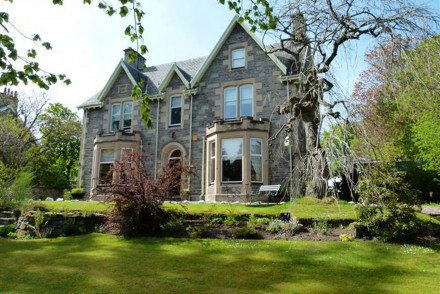 Glenmoriston Town House Hotel is a stylish base for exploring the city. With smart rooms from just £55 per night and a great restaurant, it's a top option. The Dower House is a charming 4-room hideaway located in the midst of Inverness-shire's countryside. Come back after a day out hiking to enjoy splendid meals. For something more upmarket, consider staying at Loch Ness Lodge. Offering classically elegant rooms featuring plenty of antiques, it also boasts an enviable location overlooking the Loch. Hidden away on a remote peninsula on the "road to the Isles", Arisaig House is a delightful property. Awash with charm and character, the house features lovely rooms, beautiful grounds and excellent food. But its biggest pull is its stunning positioning and welcoming home-from-home atmosphere. Boath House, set in an impressive Georgian property, is a charming country retreat: complete with four-posters, opulent bathrooms, a spa and glorious grounds. A dreamy spot! Four-room Smiddy House, located just 11 miles from Fort William, is a comfortable stay with traditionally Scottish accommodation. 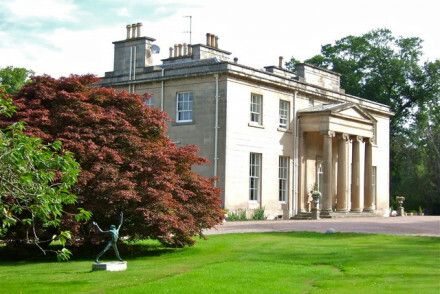 The Lime Tree is a stylish stay with an in-house art gallery and an award-winning restaurant serving up local fare. The Grange is a smart three-room Victorian townhouse boasting sublime views of Loch Linnhe and inviting accommodation. 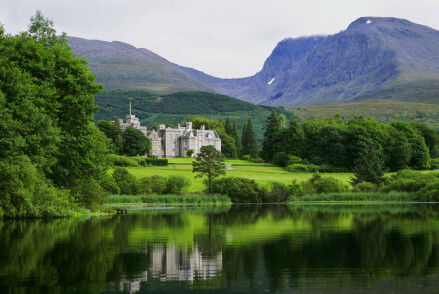 Sublimely located at the foot of Ben Nevis, Inverlochy Castle is an unforgettable place. 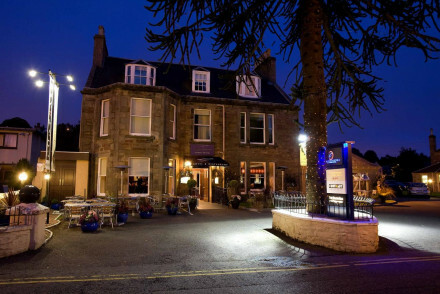 Picturesquely perched overlooking a loch, the hotel features elegant rooms with period furnishings and an atmospheric bar. However, the hotel's real highlight is its superb Michelin starred restaurant. Culdearn House, located on the edge of the National Park, boasts six stylish rooms and an award-winning restaurant. What more could you ask for? 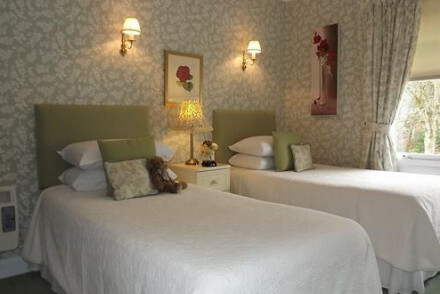 Muckrach Country House Hotel offers spacious, classy accommodation filled with antiques and soft patterns. Enjoy local cuisine and spend evenings at the whisky bar after a day out exploring the countryside. The Cross at Kingussie is a cosy old tweed mill serving up lovely grub in a comfortable environment. For the best weather visit Inverness-shire in the summer, with the average daily temperature reaching 14°C in July. That said, it's always susceptible to the occasional rain shower so be sure to remember your jacket! Visitors can fly into Inverness Airport, well served by public transport links to the city itself and the surrounding area. Given the remote location of many of the best places to stay in Inverness-shire, you might need to hire a car to reach your final destination. For prices, we recommend you visit our online partner Rentalcars. Browse through our entire list of the best places to stay in Inverness-shire. Expand your search to include our recommendations in Aberdeen. 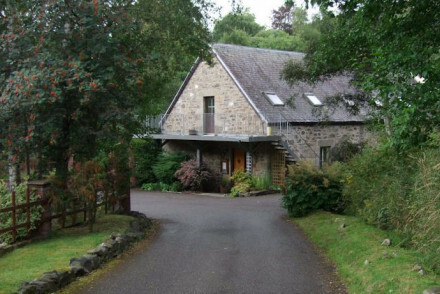 A smart country house situated in a picturesque spot in the Highlands. Six individually styled rooms are bright and airy with sash windows, high ceilings and antique furniture. An award winning restaurant serves regional dishes. A cosy spot to explore this scenic corner of Britain. 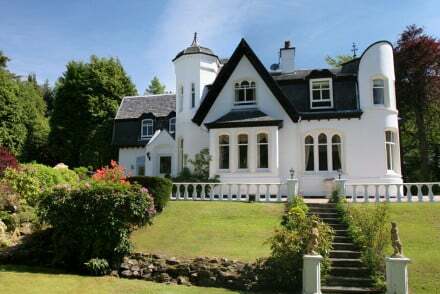 Country Escape - A charming country house in the beautiful Highlands of Scotland. Birdwatching - Spot birds from the RSPB Loch Garten osprey observation hide at the Rothiemurchus Estate. Sights nearby - Explore historic castles in the surrounding region. A cosy haven nestled in the depths of the Scottish wilderness. 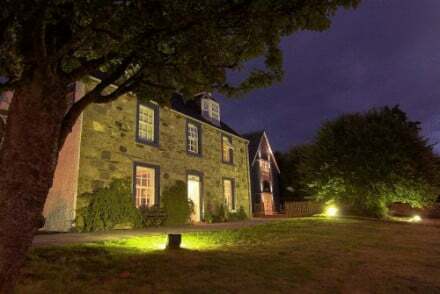 The old tweed mill has been lovingly renovated to offer comfortable rooms overlooking the beautiful countryside. A characterful restaurant prides itself on its affordable fine dining. The perfect country escape. 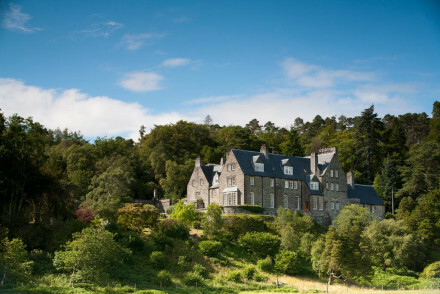 A large country house set in the stunning Cairngorms National Park. Spacious rooms are traditionally styled with soft patterns, sink-into beds and antique furniture. The restaurant is a fantastic celebration of local produce and there's a whisky bar to settle into after a day in the Highlands. 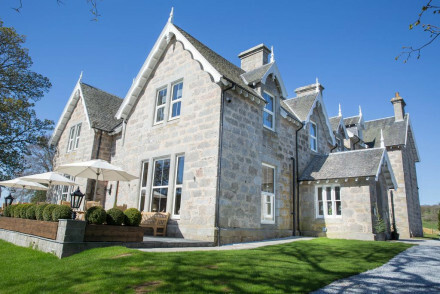 Country Escape - A country house set in the UKs largest national park, Cairngorm National Park. Great walks - There are numerous walking options; from the famous Speyside Way to gentle strolls around lochs. Fishing - The River Spey offers great salmon fishing from April until 30th September.